Rihanna Ft. Socks That You’ll Never Wanna Take Off! 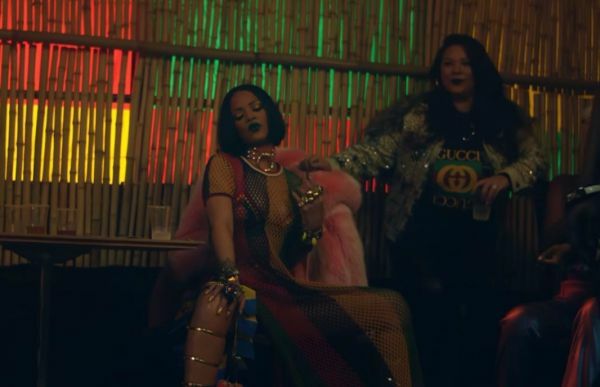 Bad Gal Rihanna sure knows how to make a pair of socks worth splurging on. On 16th August, Rihanna debuted her new Fenty for Stance box collections and they are so badass! The two boxes - Rihanna Music Video Box and Rihanna Award Show Box - contain two pairs of socks each, featuring her most iconic looks. Does it get any better than wearing Rihanna on your feet? We don’t think so. Remember her look from the 2016 party song ‘Work’? It’s now on a sock! Or this look from her song ‘Pour It Up’? Yes! She used that too. That elaborate yellow silk gown she wore to the 2015 Met Gala. 8 albums, 8 Grammys and 14 number one singles, and now THIS! Rihanna knows how to put in the work (work, work, work, work) and make socks look like a million bucks. Bad Gal Riri, we love you! We’re SO getting our hands on the new RihannaXStance collection, what about you?